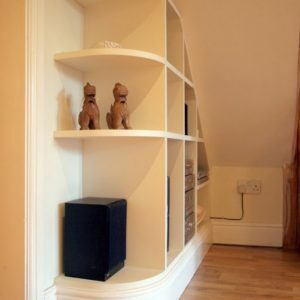 Description: These built in pieces are in a major cellar conversion in a Victorian house. 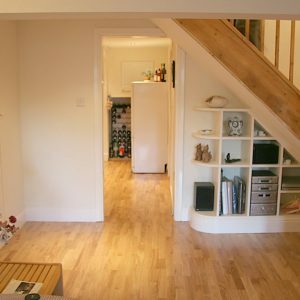 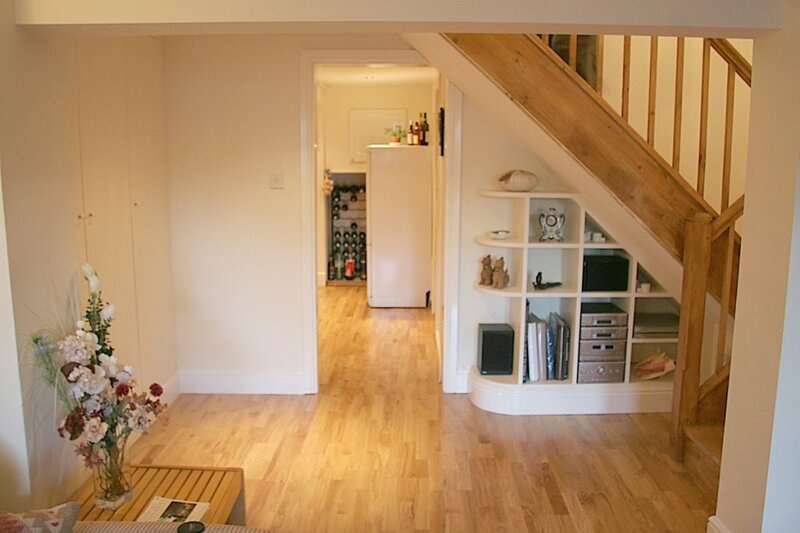 What was once a downstairs toilet and damp cellar is now a large, airy family room. 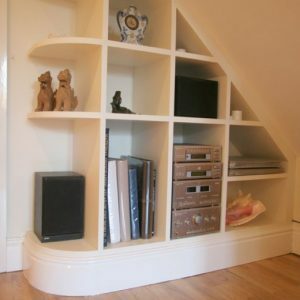 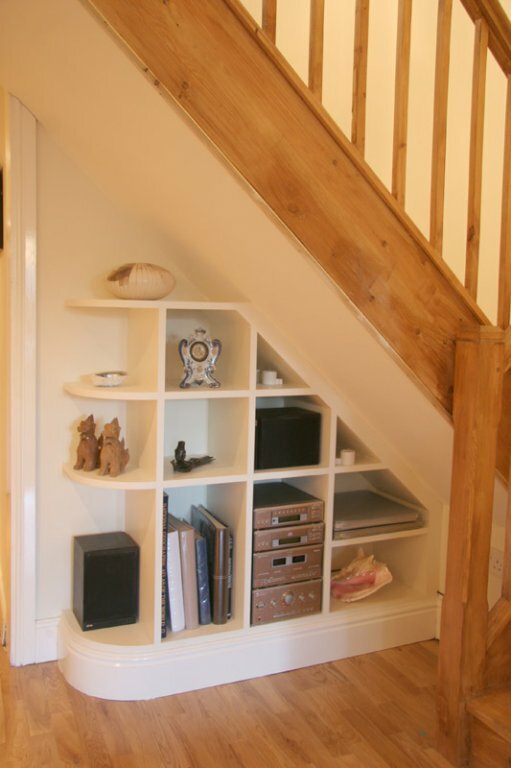 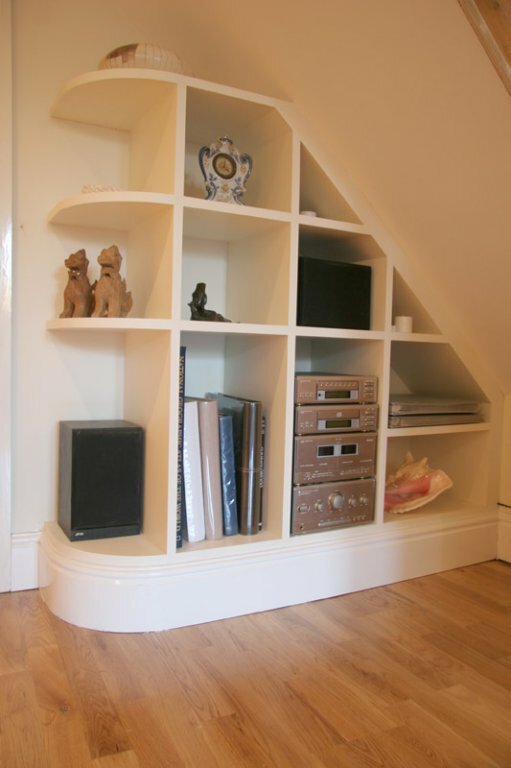 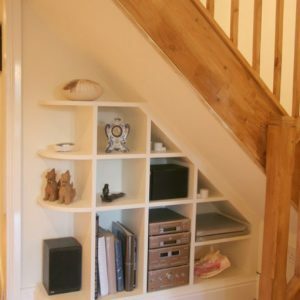 The shelving layout was determined by the existing stereo system and space needed for photo albums. 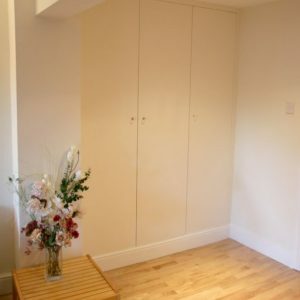 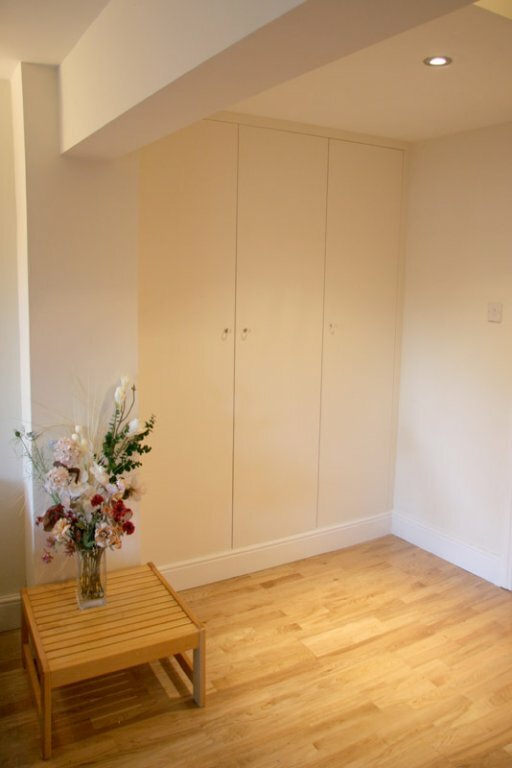 The wardrobes hide away coats shoes and cleaning paraphernalia. 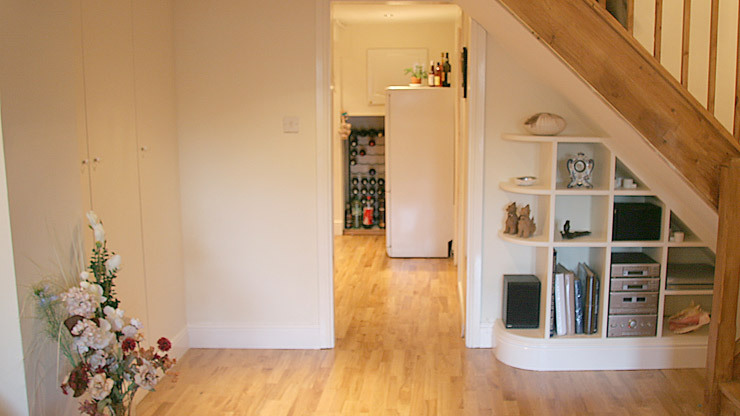 Materials: Moisture resistant FSC MDF. 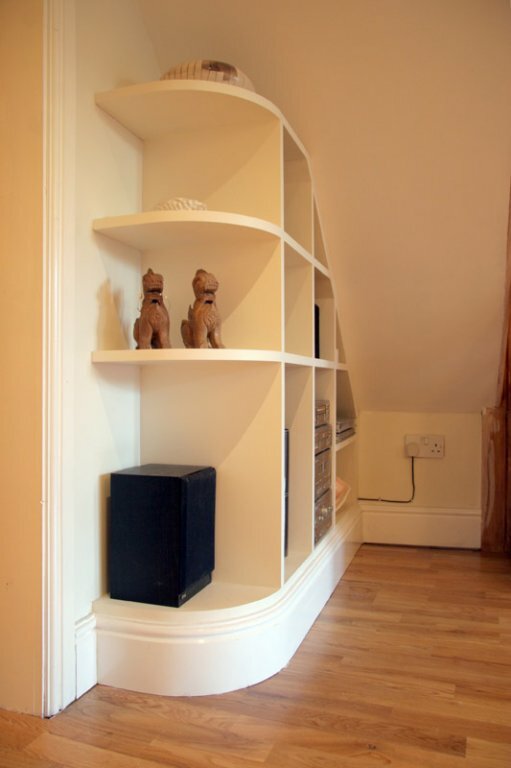 Finish: Water based eggshell paint to match the wall colour.